During the early 1990s, pioneering work by Clayman and Gaur established the early technique and equipment that allowed retroperitoneal laparoscopy or retroperito-neoscopy to expand into extirpative surgery (Table 1). Initial problems with inadequate insufflation and dissection of the retroperitoneum were elegantly overcome by Gaur et al. with their description of atraumatic balloon dissection of the retroperitoneal space (1,11,12,14). 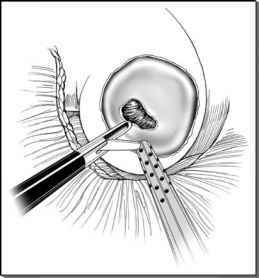 Historically, these early reports and, similarly, the important early transperitoneal laparoscopy technical reports were all too often met with skepticism by the general urologic community. Despite skepticism, the technique of retroperitoneal laparoscopic radical nephrec-tomy evolved into a standardized approach, which in turn resolved problems related to retroperitoneal landmark recognition (16). During the intervening years, the laparoscopic radical nephrectomy has been firmly established as standard of care for renal masses not amenable to partial nephrectomy. Outcome analysis of surgical series from transperitoneal and retroperi-toneal approaches has demonstrated similar intraoperative and postoperative results. Early reports of less postoperative ileus allowing earlier postoperative discharge with the retroperitoneal approach have not been consistently demonstrated in comparative analysis (2,3). Thus distinct advantages between these approaches appear indiscernible (24); however, both approaches are clearly superior to traditional open surgery (9,10). Regardless of individual surgeon preference, the retroperitoneal laparoscopic radical nephrectomy remains an important tool in the urologic armamentarium for minimally invasive surgical treatment (13,19). Ideally, it is advantageous for a laparo-scopic urologic surgeon to have familiarity with both approaches. The indications for laparoscopic retroperitoneal radical nephrectomy are similar to the indications for open radical nephrectomy, namely the presence of a renal mass not amenable to a partial nephrectomy.